Are you someone who is most comfortable playing it small? Maybe you feel awkward expressing your opinions, especially in groups. This can be scary territory for many people. You are not alone! This is why “Money-Wise Women” show’s guest Destiny Love finds her group workshops so powerful. She is passionate about supporting people to gently unwind what keeps them from expressing their fully embodied voice. Her recent virtual course “Embody Your Voice: The Yoga of Sound” is available now for $30 off the full price here at Udemy. Our conversation develops the similarities between two currents of energy: voice and money. As we connect more skillfully with both of these currents, we invite prosperity. Connection is key; the origin of poverty is disconnection. Look at the suffering from lack of connection from ourselves, with other people, and with the environment. Modern society has commodified nearly every connection that sustains us. Is it any surprise that we have such high levels of violence and addiction? Our connections are more valuable than gold. We can access a currency of renewable energy as we clear our blockage, release habitual beliefs, and access our innate genius. As we speak from a more embodied voice, significant changes happen. You will be amazed at Destiny’s stories of clients who had breakthroughs to major life changes: one man finished writing a book he started 20 years ago, and a couple opened the retreat center of their dreams. Remember ourselves as fluid channels that are connected. When our system opens, there is a flow that happens beyond our egoist selves. This is valuable, because when we open our central channel, we more clearly articulate truth. 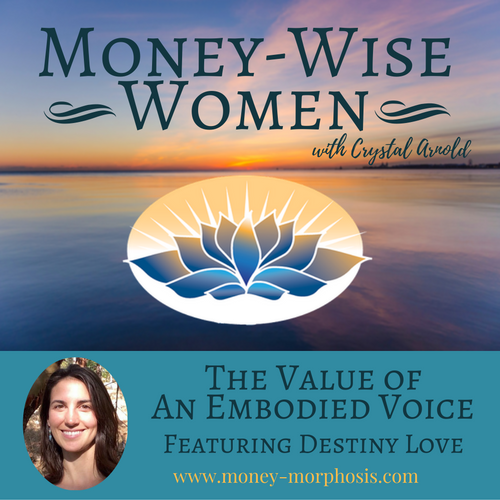 Destiny is one of our guest faculty in the Money-Morphosis “Find Your Money Voice” 6-week virtual course that begins in January. In this conversation, you will hear the interesting intersections of voice and money. We are joining forces because we both want to support women to claim their true worth and have more productive money conversations. Many people limit themselves in what they think is possible because they are stuck in their individual personality, which is embedded with past traumas and beliefs of how others are viewing them. When the voice is fully fluid and active, this is the essence of what we are. Which is not personal any more, it is connected. This is the embodied voice. When we are connected to our authentic power, we express clearly. Perhaps you are driven by a similar passion for conscious transformation as are Destiny and I. Find your authentic voice and the returns on your investment will develop true wealth. Destiny Love is an embodiment specialist and founder of My Embodied Voice: awaken your voice in the world. 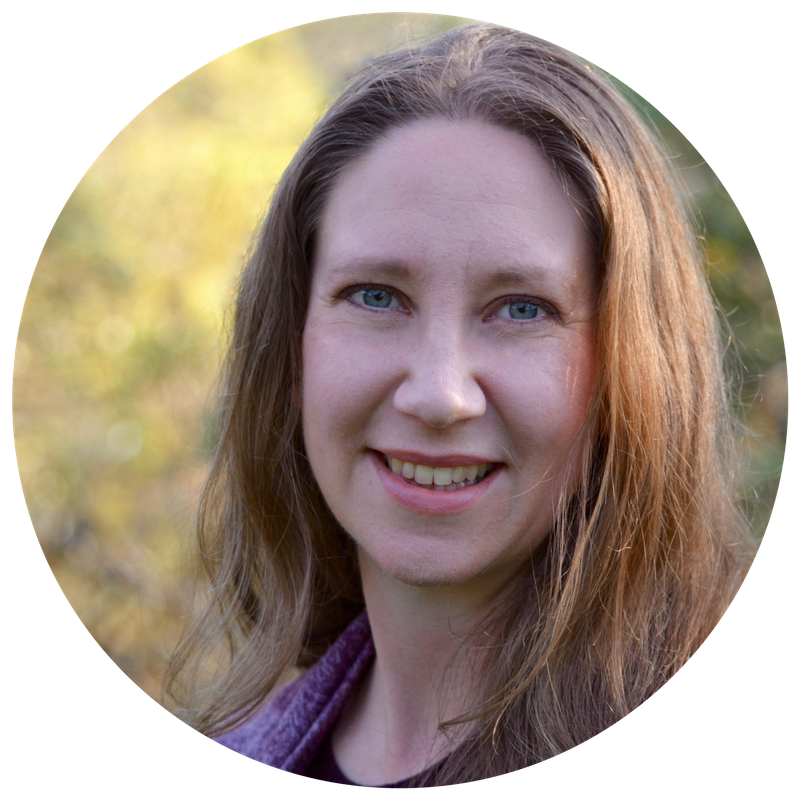 Destiny is passionate about living life fully, from a fully embodied state of being, and has taught thousands of people to do just that through workshops, classes, retreats, private sessions, and her active online video presence. 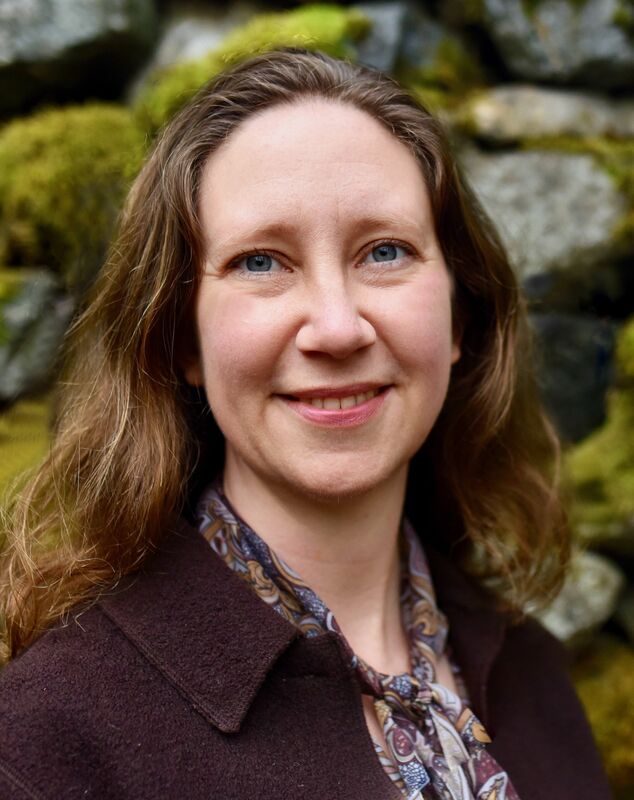 Her work is unique in that she focuses on releasing stagnant and blocked creative energy for her clients through both physical and energetic unwinding techniques.